(Transportes Aéreos Ejecutivos S.A.) (GD/TEJ) (Mexico City) 1988 - 2000. Photos. Framable Color Prints and Posters, Digital Sharp Images. Aviation Gifts. Slide Shows. 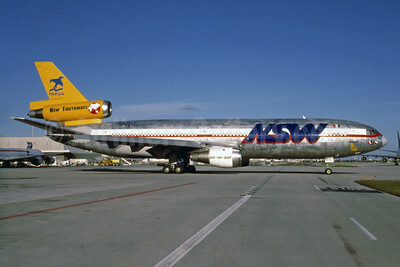 TAESA - NSW-New Southways McDonnell Douglas DC-10-30 (F) XA-TDC (msn 46891) MIA (Bruce Drum). Image: 103895. 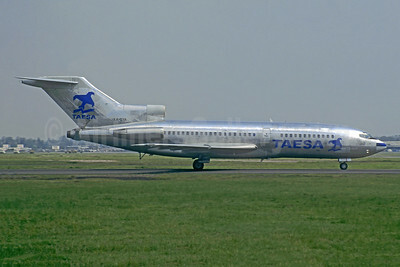 TAESA Boeing 727-23 XA-SXZ (msn 18436) ATL (Norbert G. Raith). Image: 926455. 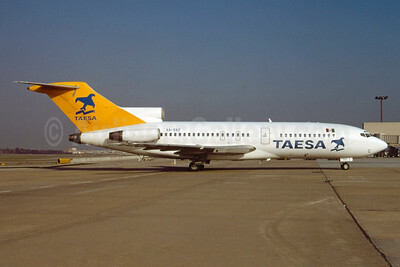 TAESA Boeing 727-23 XA-SYA (msn 19432) MEX (Christian Volpati Collection). Image: 945240. 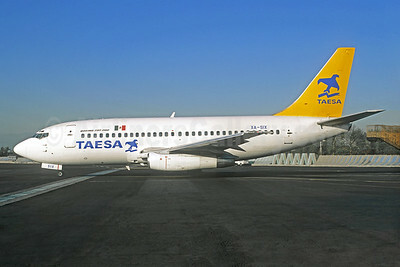 TAESA Boeing 737-2T4 XA-SIX (msn 22371) MEX (Christian Volpati). Image: 931299. 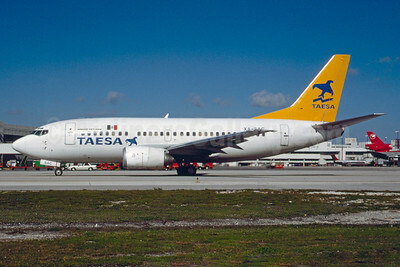 TAESA Boeing 737-5Y0 XA-SAC (msn 25192) MIA (Bruce Drum). Image: 103896. 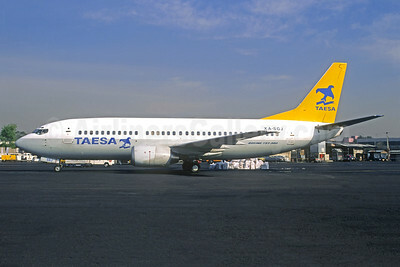 TAESA Boeing 737-33A XA-SGJ (msn 24030) MEX (Christian Volpati). Image: 945241. 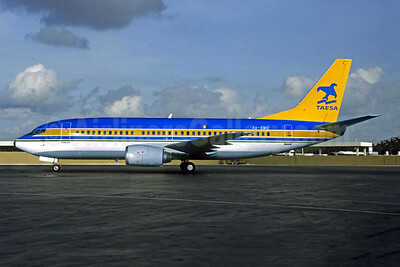 TAESA Boeing 737-33A XA-SWO (msn 27284) (Air Tanzania colors) MEX (Christian Volpati Collection). Image: 945242. 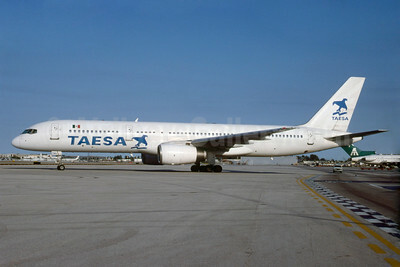 TAESA Boeing 757-2K2 XA-TMU (msn 26330) MIA (Bruce Drum). Image: 103897. 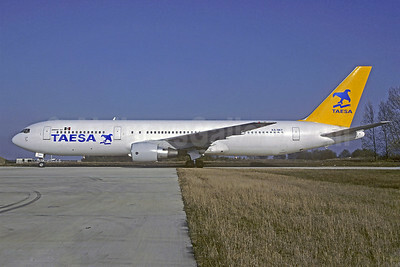 TAESA Boeing 767-3Y0 ER XA-SKY (msn 25411) CDG (Christian Volpati). Image: 909179. 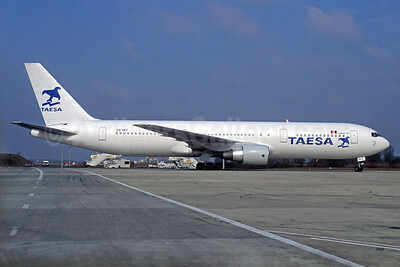 TAESA Boeing 767-3Y0 ER XA-SKY (msn 25411) CDG (Christian Volpati). Image: 925944. 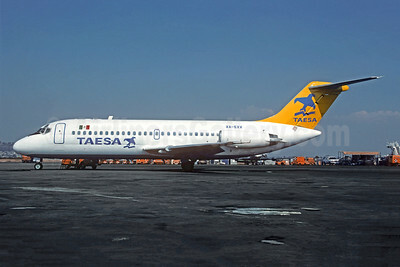 TAESA DC-9-14 XA-SXV (msn 45715) MEX (Christian Volpati). Image: 945243. 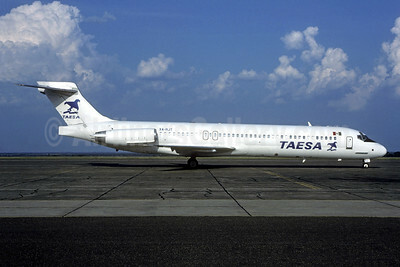 TAESA DC-9-87 (MD-87) XA-RJT (msn 49777) LRD (Christian Volpati Collection). Image: 945244.